Dr. Allen Lim, PhD and Author of the widely popular book, The Feed Zone Cookbook, discusses the importance of athlete nutrition being approached more from the perspective of nourishment than it is from that of scientific practice. Note: This is an online Video Product delivered on our streaming platform (Endurance Films Training Institute). Not DVD. 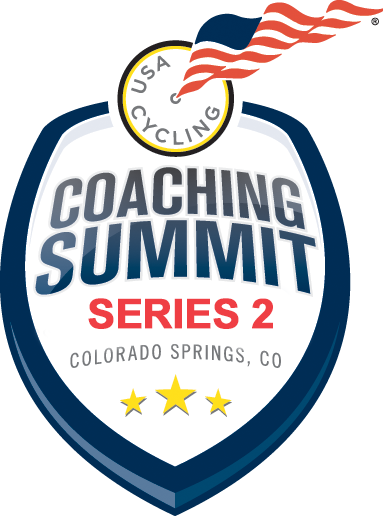 Recorded live at USA Cycling Headquarters in Colorado Springs, this video collection containing over fifteen hours of cutting-edge presentations by some of the world’s top cycling minds is a cycling educational goldmine - a coveted resource, the information in which was previously available only to the select few summit attendees. 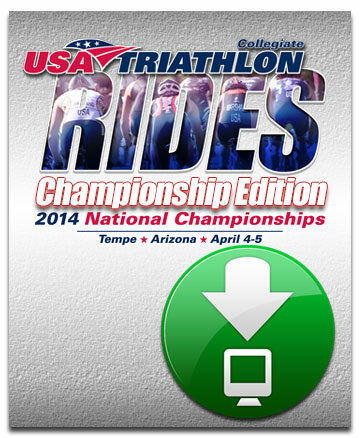 Purchase includes 20 CEU plus access to exam at USA Cycling website for additional 10 CEU. High stakes and a relentless pace are what it’s all about in this brand new, RIDES: USA Triathlon Collegiate Championship Edition. Using actual footage from USA Triathlon’s 2014 Collegiate National Championship Draft-Legal Race, you’re in the lead pack for a for a high tempo sprint through the heart of host city Tempe, Arizona. Virginia - The birthplace of the nation...and a great place to ride! Join us on an epic ride through the majestic Blue Ridge Mountains. Turn up the heat in this much anticipated second installment in the 'RIDES' training series. Join the areas top cyclists and triathletes on a group training ride through beautiful Valley of Fire State Park just outside Las Vegas. Welcome to paradise. The ultimate indoor cycling series heads south to the beautiful white sands of Santa Rosa Island, Florida. The ultimate virtual indoor cycling series heads east for the epic Assault on Bear Mountain. Download your MP4 copy today! Saddle up and RIDE as we stampede into TEXAS. Join TEAM EXCELLENCE RACING for a tough 60 minute tempo workout through Johnson County Texas. The ultimate indoor cycling training series hits the hills! Pedal just along the border of Kentucky and Indiana with one of the best cycling teams in the region. MP4 DOWNLOAD - It's So Cal cycling at it's best. Join top riders in the area as they ride through the majestic foothills and climbs of Saddleback Valley in Orange County, CA. This training ride is famous among professional riders, recreational riders and highlights some of the more popular group rides in Southern California.